I recently joined a team of science communicators at the Gulf Coast Carbon Center (GCCC). During my doctoral research I studied the interactions of parasites with their carriers and environments. In particular, I researched the effect of climate change on the distribution of a vector-borne parasite in North America that causes skin lesions. While I am familiar with climate change and introductory geological concepts, I was completely unfamiliar with carbon capture and storage (CCS). CCS is a technology that “catches” the primary anthropogenic greenhouse gas, carbon dioxide, from large industrial point sources and then stores it deep underground (greater than 1 km). One of my first assignments was to support the research group for a biennial conference, “The University of Texas 4th Conference on Carbon Capture and Storage,” which discusses recent breakthroughs in CCS. Tim Dixon, the program manager for the IEA Greenhouse Gas program (IEAGHG), was invited as a plenary speaker. IEAGHG evaluates technologies aimed at reducing greenhouse gas emissions by facilitating mitigation strategies, disseminating research, and aiding international collaboration. Tim’s lecture focused on the history of CCS progress in light of the evolution of international climate change policy. Tim shared that in 1992, the United Nations Framework Convention on Climate Change (UNFCCC) treaty was released at the Earth Summit in Rio de Janeiro. The most important conclusion from the summit was the acknowledgment that current climate change is anthropogenic. Also, importantly, no enforcement mechanisms were designed to address climate change. However, it set forth the initial agreements for countries to participate in the Conference of the Parties (COP) in which countries report emissions and mitigation efforts. The COP led to international collaboration between 33 developed countries via the Kyoto Protocol of 1997. The Kyoto Protocol established a commitment to emission reductions. The most important agreement to date is the Paris Agreement from the 21st meeting of the COP in 2015. The year before this meeting, the Intergovernmental Panel on Climate Change (IPCC) released the 5th Assessment Report that outlined goals to cap average global warming at 2°C, increase human adaptation, and ensure financing for mitigation. Tim warned that if business-as-usual continued, the world would experience a 6°C increase. Such an increase in temperature would cause a cascade of consequences: sea level rise, flooding, global food and water insecurity, severe health problems, extreme weather, extinctions, ocean acidification, and more. The main difference between the Kyoto Protocol and the Paris Agreement was the sheer number of countries involved. Under the Kyoto Protocol, only 33 developed countries pledged to mitigate climate change while nearly 200 developed and developing countries were party to Paris. Tim explained that participants in the Paris Agreement used Talanoa to aid the conversation about climate change. Talanoa is a Fijian concept of facilitated dialogue where inclusive, participatory, and transparent discussion builds trust to make decisions for the collective good. As opposed to placing blame and creating confrontational dead-end conversations between major emitters and less developed countries, this strategy was embraced to foster good faith in the decision-making process. Prior to the Paris Agreement, less developed countries did not have much funding to lower their emissions and implement mitigation strategies. This was a recurrent source of international conflict. 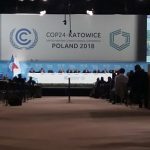 Crucially, the Paris Agreement created the Green Climate Fund as the first major source of monetary aid for developing countries to lower emissions and adapt to climate change. The international community pledged to raise an astounding 100 billion dollars per year. After learning about international climate change policy from Tim’s lecture, I interviewed him. During the interview, we discussed the lack of public knowledge about CCS. Like me, many people are unfamiliar with carbon capture and storage, despite its importance. Industries that account for 21% of carbon emissions, including the manufacture of steel, chemicals, cement, fertilizer, and the generation of coal and gas-fired power, cannot be significantly decarbonized without CCS. Most people assume that renewable energy sources are the sole solution to eliminating greenhouse gas emissions. In the IPCC 5th Assessment Report, multiple computational models attempted to maintain a CO2 concentration below 450 ppm, which is thought to keep warming under 2°C, until 2100. 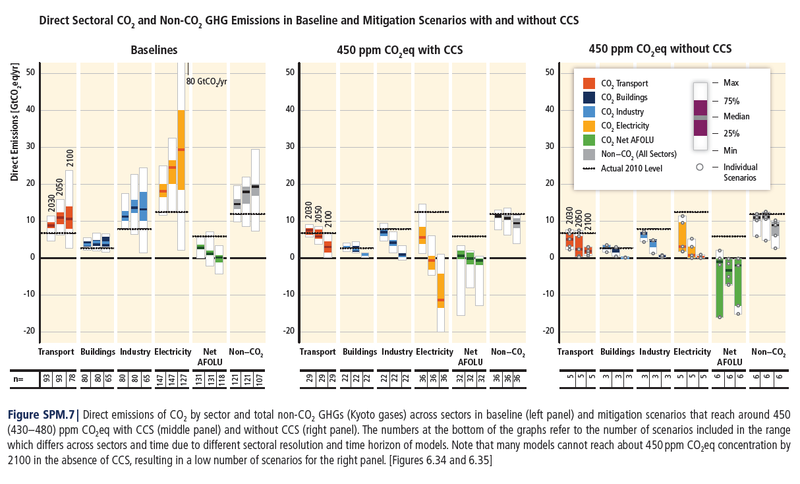 When CCS was eliminated from the models, the cost of mitigating and adapting to climate change increased by 138%. When nuclear energy was removed from the model, there was only a 7% cost increase while limiting solar/wind renewables led to a mere 6% cost increase. The impact CCS has on the cost of mitigating climate change dwarfs the impact of these better known renewable energy methods. As previously mentioned, the 450 ppm target was chosen because it is thought to keep overall warming below 2°C. Some think that the 2°C target is unrealistic and a new target of 3°C is more attainable. Tim made the point that “we would be doing such harm to this planet to change the target…many factors come into this and at the moment, the fact is that even 2°C [warming] is going to be a different planet. We’ve already reached 1°C now.” He said that if some nations were to sign onto a 3°C target, they’d be dooming themselves to extinction, especially low-lying nations. Because of the impact of climate change, Tim felt that there is a moral imperative to use CCS. “While it’s technically achievable [to keep warming below 2 ° C] I think we should try. I think there is no excuse for not trying. We’ve got the evidence on the economic case, it’ll be far more expensive to have climate change than to try and do something about it. 2°C is a compromise already, we’re going to have bad things happen.” While progress continues in the international community, it will be imperative to employ CCS on an international scale at exponentially greater magnitudes to mitigate climate change. This post was written by Stavana E. Strutz.